The party never stops at the gay cemetery! Sometimes that 2 AM last call at the bar isn’t enough time spent around a bunch of homos. Fixing for something a tad more permanent? Then maybe Atlanta’s gay cemetery is the spot for you! Crest Lawn Memorial Park in downtown Atlanta has sectioned off an area to be used exclusively by gay people. Whether couples, children, or allies that want to be buried next to their homemade families rather than in the spooky crypt where everyone sharing their last name goes to spend eternity – the gay graveyard welcomes you. John Suggs of Dignity Memorial said the idea of having a gay section in a cemetery seemed like a natural progression gay men and lesbians gather more acceptance in mainstream society. “I think it’s a good idea because it is about a sense of community, connection and because it’s a tradition,” said Suggs, who is gay. “We have to make our traditions. In a way this is a way to honor our relationships in a simple but proud way. Being able to be next to your partner at end of life is important, comforting and a reassuring thing to know,” he said. Suggs’ company recently purchased Crest Lawn Memorial Park in downtown Atlanta and plans are to section off a piece of the cemetery for gay people — couples, their children, single people, people who want to be with their chosen families. Well, it’s surely cheaper than having our cremated ashes mixed into the fireworks during Gay Pride. 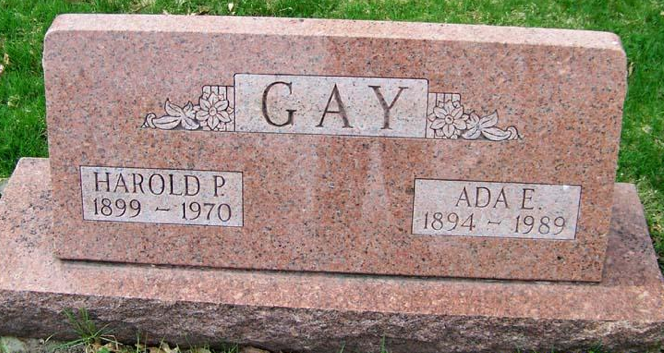 Does being buried in a gay cemetery entice you?